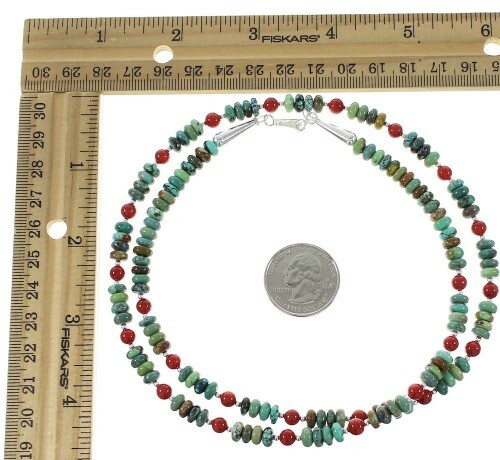 Necklace measures approximately 26-3/8" long. Expect plenty of compliments while wearing this stunning necklace! 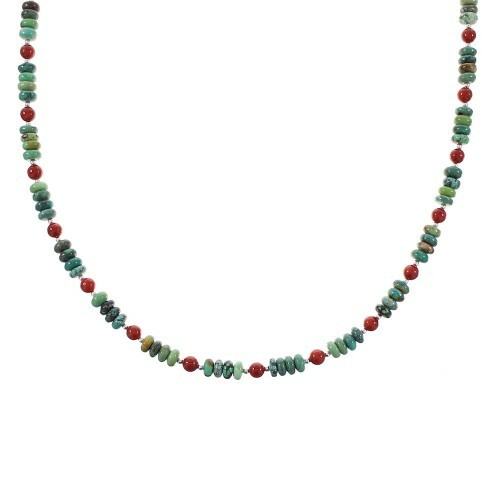 This piece of Native American jewelry is Navajo hand strung out of genuine sterling silver, along with real Turquoise, and Coral beads. 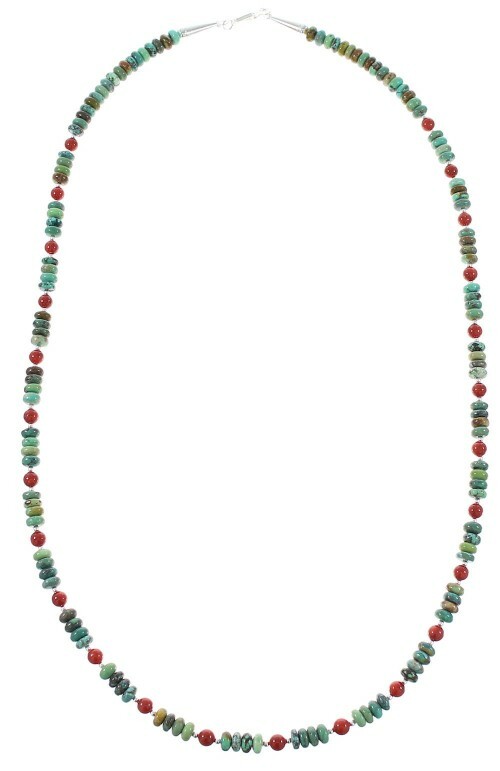 The necklace consists of: 2-mm silver round beads, 6-mm Turquoise rondelle beads, and 5-mm Coral round beads. 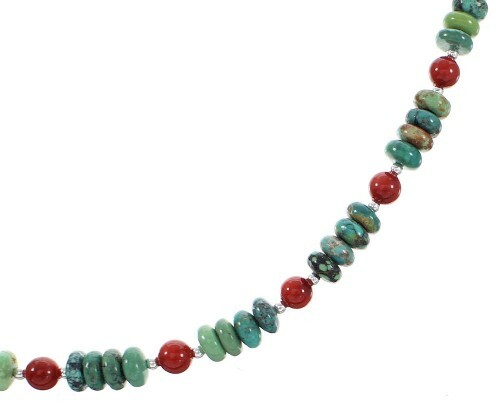 Each end of the necklace is completed with a silver cone for a fabulous finish. The cones are stamped sterling.